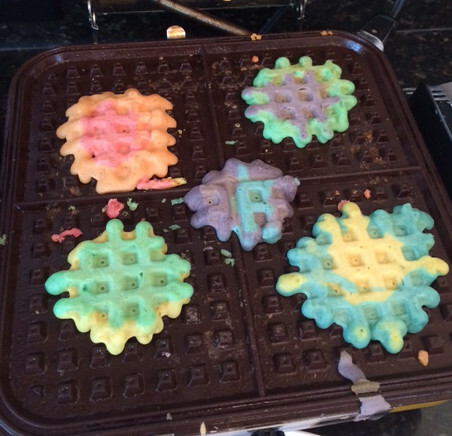 My 12-year-old daughter Ana and a few of her friends took over our kitchen on a recent snow day to make rainbow waffles. 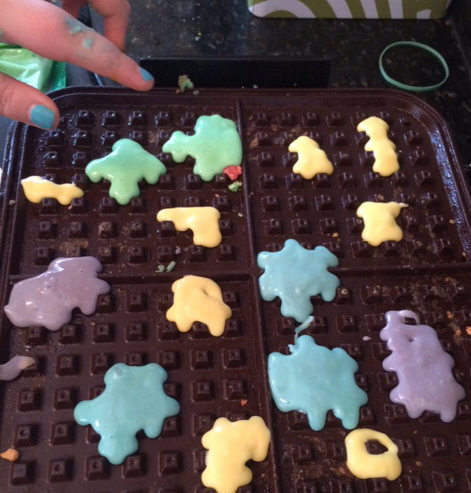 They agreed wholeheartedly to document the process. 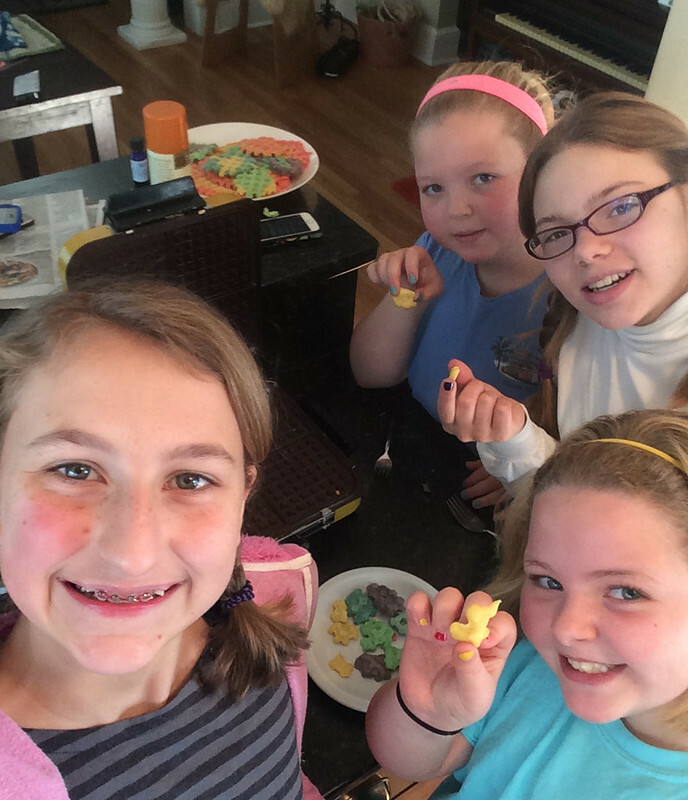 Today, we welcome Ana, Bea, Gigi and Lucy as our guest bloggers. 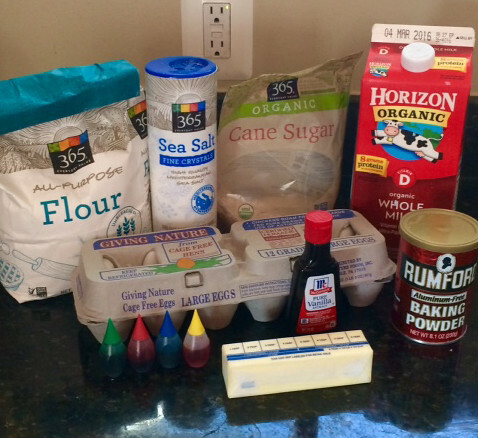 Note: In our picture it shows sea salt, but we will not be using that. 1. 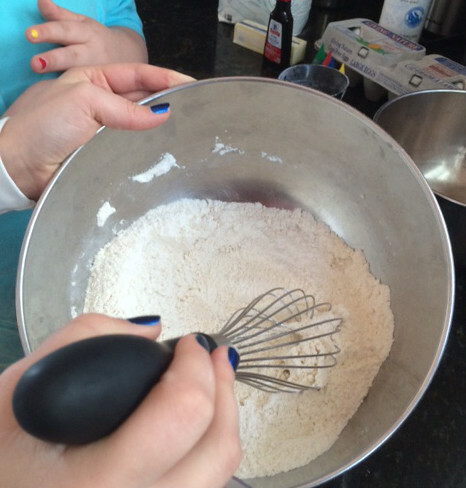 In a bowl, combine flour, sugar and baking powder. 2. 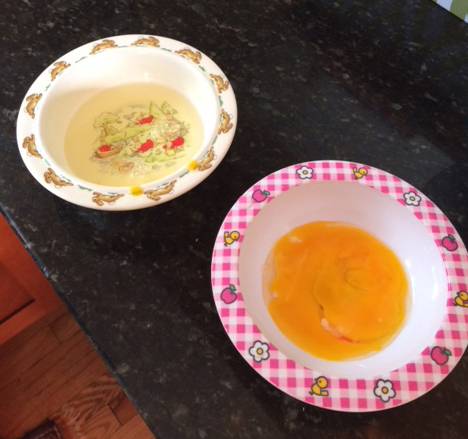 In two small bowls, separate the 2 eggs and mix the yolk well. 3. 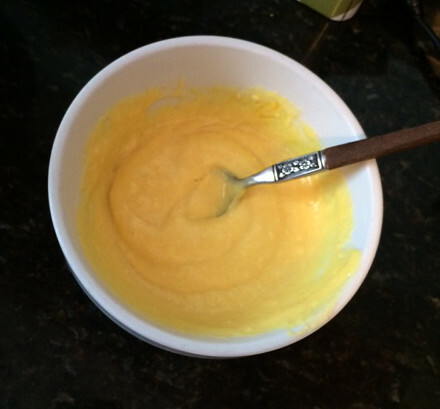 In the other large bowl, add egg yolks, and then slowly add milk while stirring. 4. 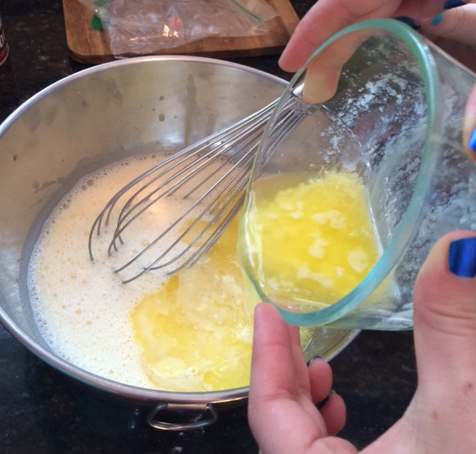 Melt butter and add it into the egg yolk and milk. 5. 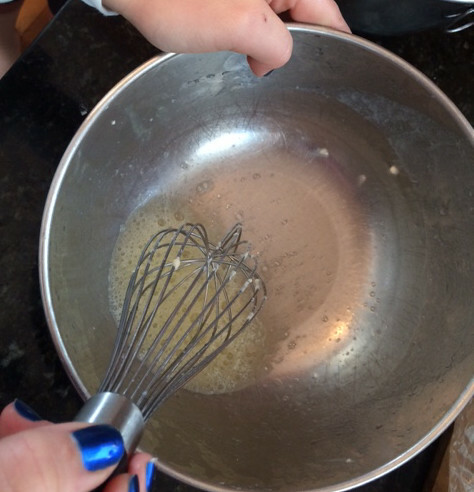 Add vanilla extract and stir well. 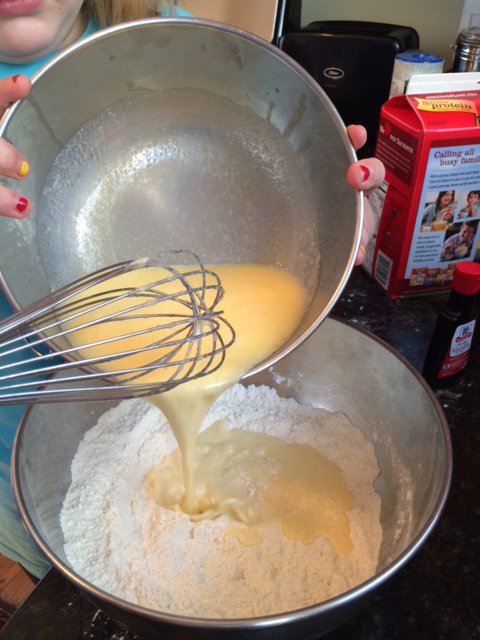 Now, add that mixture to the dry ingredients and mix. 6. 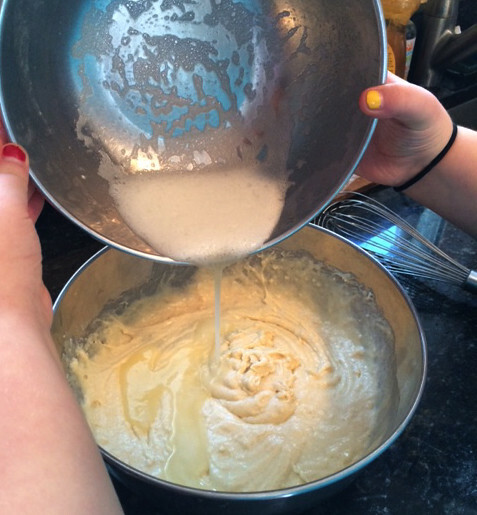 Put the egg whites into a large bowl and whisk until frothy and light. 7. 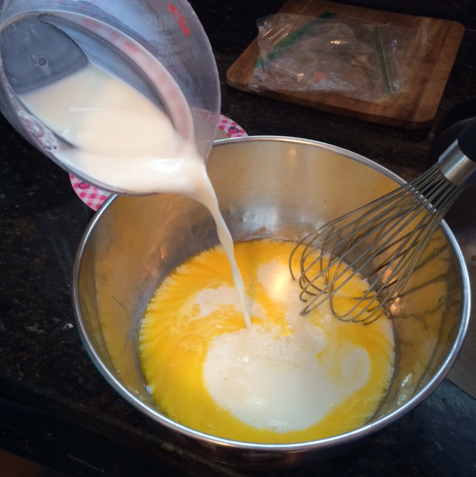 Add egg whites to the bowl with all other ingredients. 8. 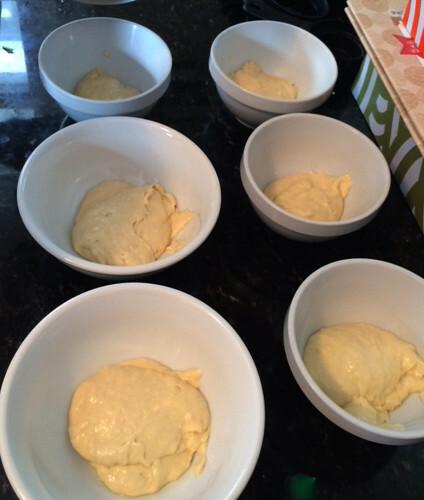 After that, evenly distribute the batter into 6 small bowls. 9. 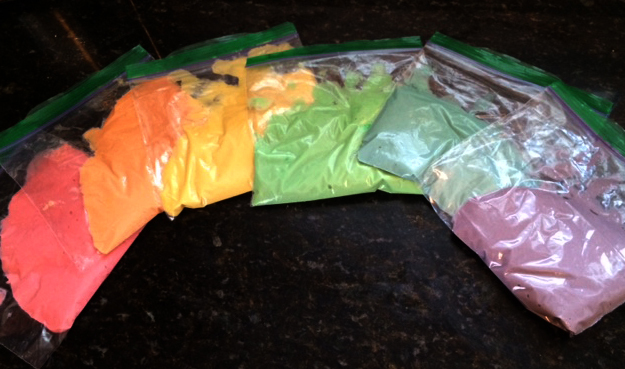 Add food coloring to each bowl and mix until you get 6 rainbow colors. 11. 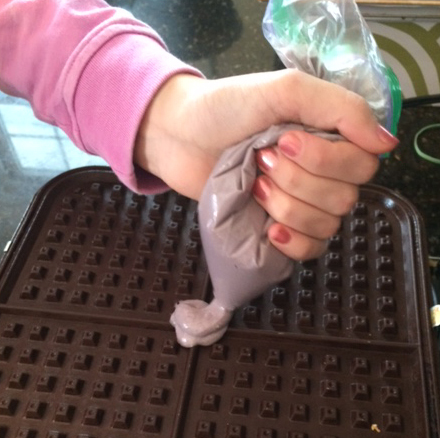 Spray your waffle iron with cooking spray and add a dot of purple batter to the center of the iron. 12. 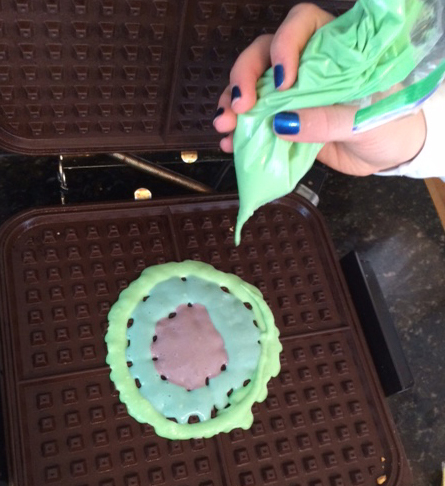 With blue batter, add a circle around the purple dot. 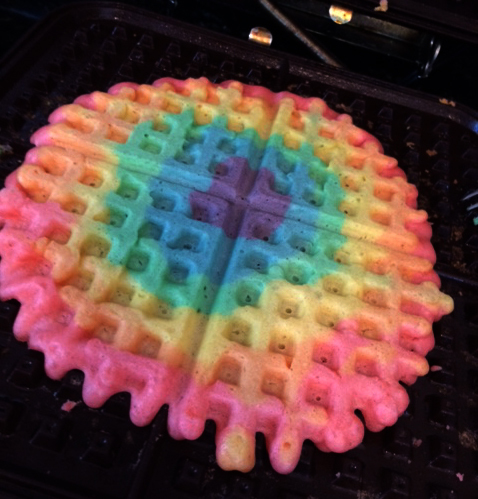 Do the same with all the rest of the colors until you end with the red batter. 13. 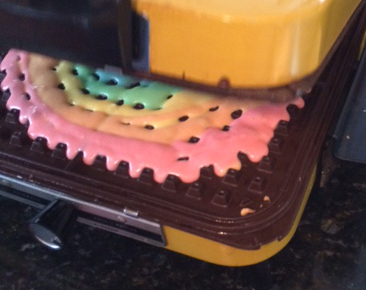 Wait for as long as your waffle iron’s directions say to and then take out and serve. 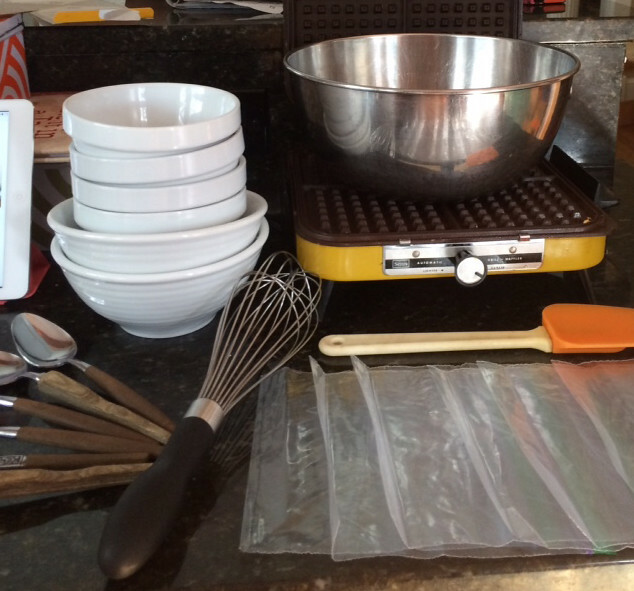 With your extra batter, you can make mini waffles and bite-sized waffles.